View More In Floating Candles. 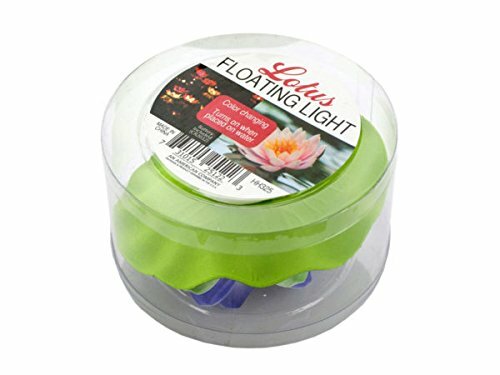 Add natural serenity to your space with this Lotus Floating Light featuring a realistic, delicate flower made of foam with a flameless color-changing candle in the center. Light is activated by water - simply place the light in a container of water to turn it on and watch a beautiful color-changing display. Light is perfect for table centerpieces and general decorating. Measures approximately 4.25" in diameter x 2.25" tall. Cell batteries included. Comes in assorted colors: white/yellow, pink and blue. Comes packaged in an individual box. Box measures approximately 4.25" in diameter x 2.5" tall. Approximate Package Weight: 13.92 lbs.